It’s Friday today and we have an author guest. This time we have a familiar face. 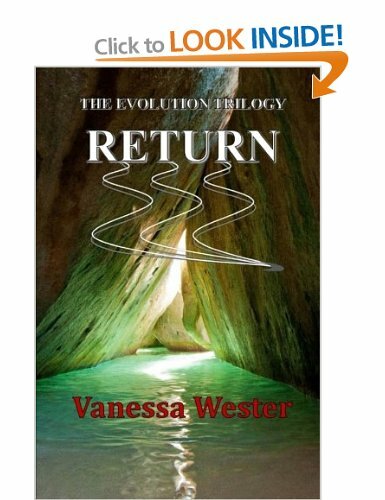 Vanessa Wester has been a guest in my blog before, but this time she’s coming to tell us about her now complete Evolution Trilogy and how she came to write it. Without further ado, I leave you with Vanessa Wester! Ever since I started writing The Evolution Trilogy, I have worked really hard to take my baby to childhood then adulthood… I hope it can now go out into the world with its head held high. My cousin also passed away aged 27 from a brain tumour, and other events happened to close family members that broke my heart. These made me reflect on my own life all the time, and I did not feel I had the right to complain about any hardships I faced. What could be worse than losing your life? However, we all have the right to “suffer” and obtain sympathy for whatever makes us feel down. 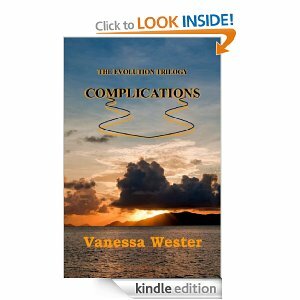 The characters in my trilogy encounter many difficulties, and I guess in a fictional setting it is easier to make things happen and talk about things that effect us all. The science fiction idea is complete fantasy, and the use of vampires is all for fun. What I have learnt is that in life things happen for a reason. I have enjoyed every minute of being a parent for the third time. I was so much more relaxed, had fun with my daughter, and balanced three kids with some grace (most of the time… ha ha ha). It was whilst I sat watching my daughter at home that I started to write on a notepad, then progressed to a laptop, then computer… Once I caught the writing bug nothing stopped me and I became obsessed for a while. Every time my daughter slept, I wrote. I bought a copy of the Writers & Artists handbook and tried to figure out the submissions process. I joined The Word Cloud, read a lot, and learnt to take critique. Then I saw the posts by David Gaughran, who wrote Let’s Get Digital on the Cloud… and decided to go for it and self publish. It took me months to figure out the process of ebook publishing, using the advice on smashwords. I quickly realised Amazon was where a lot of readers bought books – the dominance of the kindle! So, off to Amazon I went… Don’t even get me started on the paperback formatting! Now, I don’t want to bore you… I should write a book about this! The point is… had I not got pregnant I would never have started writing books. As a child I dreamed of being a writer, but the fact I was scientifically minded made me abandon the dream as the years went by. Yet, the fusion of my interests and dreams has led me to write this Trilogy. Anyway, my Trilogy is suitable for mature readers of about 10ish and above (my daughter is a fan – aged 9!). In addition, my books have been enjoyed by both men and women of all ages, to my huge surprise, so I hope some of you decide to give them a go. Thank you for reading, and thank you, Olga, for hosting me on your site. 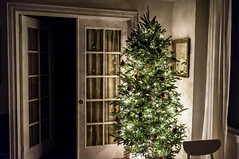 Here a link to her previous guest post. And of course, as always, thanks for reading and if you’ve enjoyed it, don’t forget to like, comment, share and CLICK! As you know Fridays is guest author day. Today I’m sharing with you the new novel of Annie Seaton, a wonderful author I met through Facebook and who loves nothing more than to make our hearts beat faster with her romantic stories. She’s been very kind sharing with us the story of how she decided to write Italian Affair. Thanks for hosting me on your blog. Having my first contemporary romance, Holiday Affair, accepted for publication by the fabulous Entangled Publishing was the first exciting part of my writing journey after I retired from my career in education two years ago. Seeing my debut novel hit the best seller lists and get fabulous reviews was overwhelming . Suddenly I was an author, a published author and a bestselling author all in a matter of four months! So where did the idea for the second book in the series… Italian Affair come from? Tom, the middle brother in Holiday Affair needed to find his happy ever after and I mulled over his problem and what sort of woman he would need to fall in love with, to complete his happiness. Now, for those of you who have read Holiday Affair, you will remember Tom as a bit of a stuffed shirt, as one reviewer of Italian Affair described him! Tom needed someone who was free spirited, who could tease him, but who would also fall in love with the wonderful man he is. Inspiration came to me through a very dear friend and I have dedicated Italian Affair to this friend, Melissa Lulham who told me how she had discovered her birth grandfather on Lipari Island. Brianna Ballantine was born in that moment. Free spirited and with an urgent need to find a husband in four days, she meets Tom on the plane on the way to Italy. And that is where their story begins. I adore this book. I have learned and developed so much as a writer over the past couple of years; I hope everyone enjoys my story and will ‘laugh, cry, and sigh’ as Amy Andrews wrote for my cover quote! She looked from one to the other and then placed her hand on Tom’s arm. She wanted to know what was being said. Tom shook his head and the elderly lawyer frowned at her. A flash of white caught her eye and she looked across to the corner as the other lawyer wiped a tear from his eye. Absorbed in watching the old man wipe his eyes, she jumped when Tom reached out and placed his arm around her shoulder and pulled her close to him. He leaned down and placed his lips against hers before she could move. “What the f—” she whispered against his lips. “Just follow my lead,” he murmured into her mouth. “Kissing men, crying lawyers. This is bizarre,” she muttered and Tom frowned at her. She sat straight in her chair and flicked her braid over her shoulder. She concentrated and tried to follow the conversation. Signore Antoniolli directed a comment to the man in the corner, and he gave a cry of distress and jumped out of his chair, launching himself at her. He leaned over and hugged her tightly from behind, his papery skin rubbing against her cheek before he stood and wiped his eyes once again. “Più tardi,” he said as he walked to the door and left, shutting it behind him. Her debut full length novel, Holiday Affair, a contemporary romance set in the South Pacific was released as part of Entangled Publishing’s Indulgence line in March 2012 and has been a best seller on both Amazon and Barnes and Noble. The sequel Italian Affair released in June 2013, will be followed shortly after by Outback Affair. Annie has more books being released in 2013 with Entangled Publishing in the Bliss, Entangled Suspense and Covet imprints. Thank you so much for reading, thanks Annie for being my guest and for sharing your creative process. And please, remember to CLICK! Dahlia is starting a new life. New university, new home, new friends. This time, she’s not going to be surrounded by werewolf packs and vampires. 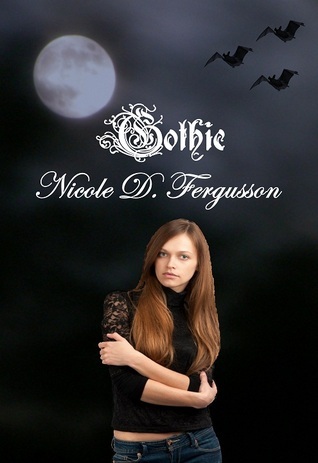 She has fought against a life filled with supernaturals since she was eight years old. Does it matter when she’s more attracted to the vampire in her class than the normal university boyfriend she picks up? Or when her werewolf kin start gradually start to go missing? Of course not. A normal life is what she wants. What she’s always wanted. A normal life. This is exactly what she’s been waiting for. “What?” But then Dahlia caught on. Though she didn’t have a werewolf’s sense of smell, she did have a human’s sense of hearing. And a low growl was coming from somewhere in front of them. “Hello?” she started, inching forward. Elliott grabbed her arm and pulled her behind him. “Whaa?” Dahlia began. The aggressive sound had doubled. Dahlia realised, with shock, that Elliott was not growling so much as hissing, or snarling. She was glad for Elliott’s walking her back to her dorm. Usually there were people milling around the university colleges but, right then, there was a distinct lack of anyone. Elliott had dropped to a fighting crouch, like he expected violence. Dahlia watched keenly for whatever it was from her vantage point behind Elliott, glancing over her shoulder a couple of times just in case attackers came from behind. There was someone targeting werewolves, and she had grown up with a whole bunch of them. Her heart dropped to her stomach when she saw a honey-blonde wolf pull out of the bushes and start stalking towards them. She would have recognised him anywhere, but that didn’t incline her to feel kindly disposed towards him. She did not appreciate the panic he’d just put her through. Elliott didn’t relax his position, didn’t allow Dahlia to push past him in her attempts to chastise the ’wolf, which didn’t defuse the situation at all. It just made Luca growl louder. Looking between the two men, Dahlia’s jaw dropped as she realised what this was about. Dahlia righteously slapped Elliott’s arm down and strode past him. Standing directly in between Elliott and Luca, Dahlia stared them both down, daring either of them to make another territorial move. Elliott looked from her to the ’wolf, until eventually his gaze settled on her. Luca eventually stopped growling, relaxing the ridges on his nose, but not at all looking contrite. Dahlia just stared at them both in disgust. “You,” she informed Luca, her tone offering no room for refusal. “Find somewhere private to change and get to my room.” She bared her teeth. He wouldn’t instinctively accede to her words, but the snarl would make an impression. Luca stared back at her for a while, trying to assert dominance, but Dahlia was too incensed to play into werewolf games. After a moment, he emitted a wuffle sound, turning tail and disappearing back into the bushes. Dahlia didn’t give Elliott time to make something of any of this. She just grabbed his sleeve, dragging him to her dorm, and thus guaranteeing that Luca would not be dallying about his change before rushing to her room. Elliot sobered a little at that, and instead said quietly, “I’d heard you had werewolves in your family…” as they strode through the hall. “I’m not in danger from my own foster brother,” Dahlia snarled. Elliott smiled grimly. “He didn’t exactly come with a sign proclaiming that.” He stopped at her doorway and. For a second, Dahlia thought he was doing it as just another thing to piss her off, before she realised that he needed an invitation. That recognition took some of the wind out of her sails. Both Annabelle and Meredith had impressed it upon her not to ever utter the words, “Come in,” when a hand gesture or assumption would do, unless it was daylight. Hand gestures and assumptions weren’t strong enough invitations to let a vampire into a new residence. But this was Elliott and, even though she was pissed at him, Dahlia intellectually knew that he would never do anything to harm her. He hadn’t when she’d been at his private residence, and that was almost like inviting a vampire to drink from you. “Elliott, would you please come in?” she said, and at the same time heard the sound of Luca thundering through the double doors that marked the entrance to her building. Luca reappeared, and in human form no less, just in time to watch Elliott take the step over the threshold to Dahlia’s room. He threw himself into the room with a growl, and grabbed Elliott by the throat. Elliott was taken off guard by the sudden attack, but his reflexes worked faster than Luca moved and, before the ‘wolf could take advantage of his hold on Elliott, he was propelled into the opposite wall by the vampire’s shove, jolting the couple of wall hangings she had nearby. “I am not a danger to Dahlia,” Elliott informed him in quiet, well retained, words that virtually mimicked Dahlia’s assurances of Luca just before. “Luca, Elliott, don’t,” Dahlia echoed, which was when Elliott stepped back from Luca, having made his point. Luca stayed by the wall for a second longer, catching his breath and glaring at Elliott. His gaze turned to Dahlia. The two foster siblings stared each other down for a long time. Elliott stood to the side but, after a time, stepped back and settled himself on her bed content to wait them out. Luca saw this and scoffed. “And I’m not a werewolf,” Dahlia said blithely, completely ignoring the fact that she herself had been worried about confusion due to her connections to the pack just a few minutes before. Elliott, in a moment of self-preservation, chose not to bring that either. Elliott nodded his head in an acknowledgement. Dahlia sighed. Older brother types were supposed to be annoying, weren’t they? Hadn’t she heard as much from at least a dozen girls during high school? At least she got along with hers the majority of the time. “This is Elliott. He’s a friend. One of mine—and Annabelle’s—friends,” she said, making it clear how Dahlia had gotten to know him. Luca knew his Auntie Annabelle didn’t suffer fools and had never been a cruel woman, for all that she was a vampire. Luca narrowed his eyes at Elliott, trying to judge if there had been anything facetious in the compliment. Elliott just looked back at him. Eventually Luca offered him a stiff nod. “Thanks,” he murmured. Dahlia heaved a relieved sigh. Her relief was short lived, however. “As entertaining as this unexpected gathering is…” was all Dahlia had time to say, before her phone went off. Both boys jumped. Elliot hissed, Luca snarled, as both immediately went to their fighting stances. Both boys copped a look of, ‘Can I take my attention off you for two minutes without coming back to a fight?’ to which they each had the good grace to look somewhat ashamed. She wasn’t sure whether that was because of their boorish behaviour or the realization that they nearly ended up going in to a boxing match with something that could only be considered a lethal weapon in the hands of Russell Crowe. Thanks Nicole for sharing your work with us and thanks all for reading! 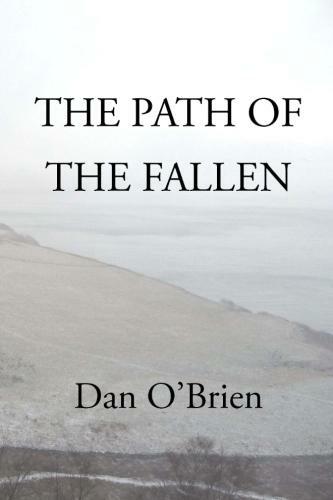 Today, Friday, and as promised, I bring you Dan O’Brien and his interview with some of the characters from his Sci-Fiction novel The Path of the Fallen. Not that his characters are happy to just be interviewed, but they turn interviewers too at times….Don’t miss the great characters and don’t forget to click on the links! And here I leave you with Dan and his characters! As I sit down at my computer, I am struck by the eerie presence of someone behind me. Leaving behind the blinking cursor, I realize that the cast of my latest novel, The Path of the Fallen, are standing behind me. E’Malkai, sullen and burdened by the weight of the pilgrimage he has undertaken, stands behind the immovable figure of his Umordoc guardian, Elcites. Arms crossed over his chest, his gaze unsettles me despite how much time I have spent in his company whilst writing The Path of the Fallen. Arile, proud hunter of the north, leans against his spear and inspects the wall with a carefree look upon his face. Fe’rein, shrouded in the darkness that complements him so well, seethes with a dark mix of irritation and confidence. E’Malkai: I heard that you wanted to speak to us. Me: (clearing my throat) In a manner of speaking, yes. Fe’rein: (glowering) What do you want? We have business left unfinished. Me: I am releasing The Path of the Fallen, after nearly a decade hiatus, and wanted to let potential readers know a little more about it. Instead of giving them a dry summary or an adjective-laden exposition, I thought getting to know the characters might be a fun exercise. Arile: (not making eye contact and looking away with a bored look on his face) What precisely would these potential readers want to know about us? We are an open book (snickers). Me: Let’s start with something simple: Describe yourself to the readers. Fe’rein: Darkness. Death. There is little else to know. E’Malkai: (shifting uncomfortably behind his guardian) I do not know what to say about myself. I thought I knew what I supposed to do with my life, but there was always something missing. When I learned about the history of the Fallen and the journey my father began, I realized that I had to find out more, learn about where I came from. Elcites: (grunting) I am no more than what is expected of me. I guard E’Malkai. That is all that matters. Arile: I am the last of my people. We once could hear all the voices of the earth. The world has been broken. I can no longer hear what I once could. My people have been scattered into the winds, but I can still hear their distant voices. They speak of a new age, and of a final war. Me: That all sounds quite dire. You make it seem like there is only darkness and sadness. Are there no happy moments in your life, memories that give you pause and hope when you consider them? Elcites: The day I was given my charge, when I first met young E’Malkai, was the greatest and saddest day of my life. E’Malkai: (looking up at the stoic look on his guardian’s face) I recall playing with my uncle once upon a time. (Pausing) The world changed, and so too did those memories. I cannot seem to look back upon the strained moments of my life and see happiness. Arile: Each day is full of happiness and sadness, joy and terror. I find grace and importance in the simplest of tasks. This day is a gift. We must not look upon it with sorrow. Fe’rein: What makes this story any different than any of the other drivel available? Me: That is a bit strong, isn’t it? I would like to think that my writing offers a fresh perspective on the fantasy and science fiction genre. I always try and include elements of ethics and philosophical assumptions in my novels, and this one is no different. I love to explore the elements of good and evil, as well as the murky gray area that is exposed when decisions and choices and are no longer easy. I think it captures the essence of the monomyth, or the hero’s journey, as well as being a rousing adventure tale that a reader of any age can enjoy. E’Malkai: How is it doing so far? Me: It is a bit early in the game to really say much about it. I released it almost a decade ago and it was well received, but it was in desperate need of a strong editing session. Now, I feel like it accurately reflects my growth as a writer and that it has a strong chance of being pretty successful, perhaps my most successful work yet. Let’s put the focus back on you: What do you want from life? Fe’rein: There is nothing to set right. I did what was necessary. They took Summer away from me. They had to pay. Me: (standing) It seems as though I have struck a nerve. Let’s try something a bit easier, shall we? What’s the most important thing in your life? What do you value most? Arile: (lowering his weapon) The search for truth, questioning my place in this world. Complacency weakens the mind. I value knowledge, intelligence, and logic. Fe’rein: (sitting once more with a huff) Solitude. The power to do what I must to keep what I have claimed. Once, I valued family and love, but those times have passed. Elcites: My charge, my mission. E’Malkai: My family, the people who depend on and believe in me, even if that faith is misplaced. Me: Speaking of family, did you turn out the way you expected? The way your parents predicted? Fe’rein: I did not know my mother and father well. I have memories of them, brief glimpses of who they were, moments in time frozen and exaggerated. I used to wonder how they would judge me, but that doesn’t matter to me any longer. I turned out the way I did because of the choices I made. My father could not have known what would fall into my path. His plan for me is irrelevant. E’Malkai: (looking at his uncle, Fe’rein, with sorrow) I did not know my father, but as I traveled north I learned much about the man he was and who he wanted me to be. My mother was secretive of my past, but I do not blame her. I realize now that she did not want me to die as my father had. Me: That is quite sad. The path of the fallen began when Seth, your father, was cast from the Fallen and then ends when you return. Were you afraid of traveling north by yourself, E’Malkai? What is your greatest fear? E’Malkai: Not being able to do what is necessary. Turnabout is fair play: At what point in your life did you realize you wanted to be a writer? Me: A meaningful question indeed. I think I always knew I wanted to be a writer. When I was about six, I designed an entire play for my cousin’s birthday: sets, script, and little figures on Popsicle sticks. As the years went by, I found that the notion of storytelling was very attractive. This pursuit led me to writing my first novel in high school, a space opera that I published in 2002. Since then I have published ten novels and plan on telling stories until someone spreads my ashes over the sea. (Turning to Fe’rein) Fe’rein, what is your greatest regret? Fe’rein: Beyond being summoned to this ridiculous farce, I would imagine the content of my life was the result of walking down a path to darkness. It was not sudden or abrasive, but instead incremental and engrossing. My greatest regret is taking my brother’s life. It was too late for me by then. I could only see darkness, despair. Elcites: (clearing his throat) What was your intent with writing The Path of the Fallen? Why did you set us down this path? Me: I wanted to tell a very particular story: one in which the line between good and evil become blurred and the consequences of a hero’s actions mean much more than defeating the bad guy. 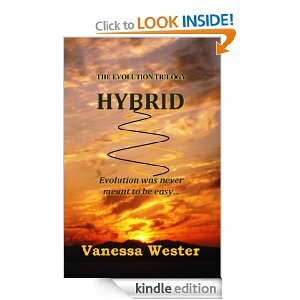 I liked the notion of a family saga wrapped up in an epic science fiction/fantasy novel. The hero’s cycle makes for a powerful story and often answers fundamental questions about the human condition. Hopefully, my book is successful to that end. (Taking a step forward and gesturing to Arile) Arile, how do you decide if you can trust someone? Do you test the person somehow? Or are you just generally disposed to trust or not to trust? Arile: Trust, like respect, is earned. When I first met E’Malkai, it was his naivety and simple manner that let me know that I could trust him. Generally, the test of whether or not a person is trustworthy is created by the environment, selected for by pressures that challenge a person. The idea of being predisposed to trust, or not to trust, is born of not trusting oneself. Have you written many more stories? Are we to carry on, storyteller? Me: As the book closes, the story does not end. The path has ended, at least metaphorically, but the journey is far from over. Book of Seth returns to the beginning, giving us a glimpse of the life of Seth Armen, as well as Ryan Armen before he was corrupted. The sequel, which takes place after The Path of the Fallen, is called Breath of the Creator and weighs in on what comes next. There are several other novels with transient beings not of your dimension: a supernatural detective solving murders in San Francisco; a young man who discovers what it takes to be responsible as the world falls apart; a love story set in an epic fantasy world. (Spreading my hands wide, acknowledging all of them) This question is for all of you, what is one strong memory that has stuck with you from childhood? Why is it so powerful and lasting? Arile: I will never forget when I returned home from a hunt and found my village decimated, wiped from this earth by Umordoc. I took the long walk into the tundra, to die, but found peace and a new home. The winds have been my companion ever since. Fe’rein: Your question is foolish, storyteller. My childhood was a lifetime ago. I am no longer that frail boy who walked beside his brother on the tundra. Elcites: I do not recall my childhood. I was born on Terra and raised in Culouth. My youth was devoted to learning everything I could about human beings and their ways so that I might one day protect E’Malkai. E’Malkai: Once I had fond memories, but now they all seem like lies meant to obscure my path. Storyteller, do you read other stories? Are you reading anything right now, or have you read anything recently that is worth mentioning? Me: I have been reading A Dance of Dragons by George R. R. Martin. I have become very invested in that world, though I will admit that the pace of the narrative has slowed dramatically. I find myself undulating between being surprised and intrigued by the story and then suddenly being quite bored. Elcites: How did we come into being? Me: I am assuming you are asking me about my writing process. For The Path of the Fallen I wrote it for four months straight, including Book of Seth. Generally, I like to create a living outline that evolves as the characters come to life and begin to guide the narrative. It is dependent on the world I am invested in at any given time. E’Malkai: Are our names meaningful? Me: They are not derived from other lore, if that is what you meant. E’Malkai was named as homage to the naming scheme of the tundra people. It really depends on what I am writing. For instance, The Journey has names that are quite significant in terms of their meaning. Otherwise, I like to invent names for a particular world. Arile: How do you define success as a writer? Have you been successful? Me: Success is elusive once you define it. It becomes something that you aspire for regardless of the process and the craft. I would like to think that success is writing stories that people in enjoy and connect with, even if it is negatively. I think I have been successful in a very limited way: people have read my books and enjoyed them. E’Malkai: Do you have words of wisdom about writing that you want to pass on to novelists and writers out there who are starting out? Me: Write what you love and learn from criticism. The publishing world has changed. I have been writing for nearly a decade and I find that every year there seems to be a new opinion on which way the wind is blowing for fiction. Stay the course and do what you love. If writing novels and telling stories is what you want to do, then do that. Fe’rein: I have noticed that you ask this ridiculous question of other storytellers: What is your End of the World Playlist? Why do you ask this question? Me: I like hearing what people think about the notion of an end-of-the-world scenario. Also, I have a zombie novella of the same name and I like having the vibes out there for it. Do you guys have anything specific that you want to say to the readers? Arile: E’Malkai of the South will do what he must to set the world right. His story will be passed on for generations. Elcites: The path of the fallen is filled with both adventure and sadness. Follow E’Malkai and be transformed. Fe’rein: I will have my day, in this life or the next. I am not evil, nor is E’Malkai good. We are merely opposite perspectives. You decide who visited more harm upon the world. E’Malkai: I would like to think that I have done the right thing, taken the right path. The storyteller will not give away his secrets, but he might give you a glimpse. The greater question is: Do you have anything specific that you want to say to your readers, storyteller? Me: I am honored for anyone to read my novel. I hope that it will foster and appreciation of reading and the arts that is slowly disappearing among children and adults alike. I love to hear back from readers, so if you would like to get in touch with me, please be sure to check out my links below. Bio: A psychologist, author, philosopher, freelance editor, and skeptic, Dan O’Brien has published several novels and currently has many in print, including: The End of the World Playlist, Bitten, The Journey, The Ocean and the Hourglass, Deviance of Time, The Portent, The Twins of Devonshire and the Curse of the Widow, and Cerulean Dreams. 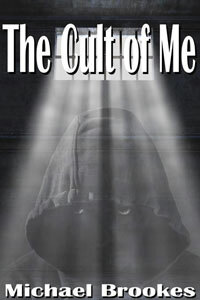 Follow him on Twitter (@AuthorDanOBrien) or visit his blog at http://thedanobrienproject.blogspot.com. He also works as an editor at Empirical, a national magazine with a strong West Coast vibe. Find out more about the magazine at www.empiricalmagazine.com. Guest author Michael Brookes. Computer games and writing. Elite. It’s Friday and once more I’m bringing you a guest author…Yes, you’re right. We met through Twitter and he kindly agreed to be a guest on my blog. He later explained that he was working on quite a “different” kind of project, from the point of view of writing and wondered if it would be OK to bring that to my blog. I found it fascinating…If you read on Michael explains everything and you’ll realise he’s a really lucky man, because not only does he work in something he loves, with people who have been his idols for year, but also he’s now managed to combined his two loves, computer games and writing in one project. And he also talks to us about his two books and they sound really intriguing. Go on, you know you want to read more….Here is: Michael Brookes. And I know he’s about to publish another novel, so keep your eyes open! I’m lucky enough that my job involves one my great passions – computer games. In my spare time I indulge in my other great joy – writing. Recently I became doubly fortunate when those two pursuits crossed over. The story started 25 years ago, David Braben and Ian Bell wrote a game called Elite. In the game you take the role of the pilot of a Cobra Mark III, a spaceship capable of combat and trading. You had eight galaxies in which to trade, fight and explore. Battling against pirates and even the law if you so wished. Elite wasn’t the first computer game I’d played. 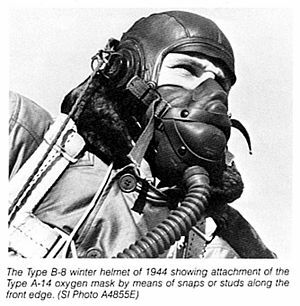 While they were still relatively new in the mid-eighties, they had been around since the late seventies. But Elite did bring something new. And it was this difference that made me realise, even at that young age, the potential of what computer games could be. Put simply the difference was freedom. Elite brought an open world to computers that I hadn’t experienced before. Another key difference was how you played. There were no levels to complete, no strict ordering of quests to follow. You played it your way in a vast universe of stars, planets and space stations. All run on a computer that is out powered by the cheapest mobile phone these days. So I got into computer games and then into computers. As well as a hobby they became my career. Not games back then, that occurred more recently when ten years ago I accepted a job at Frontier, run by David Braben. I guess not many people are lucky enough to say that they work for the person whose work inspired them along their path. What has all this to do with writing? 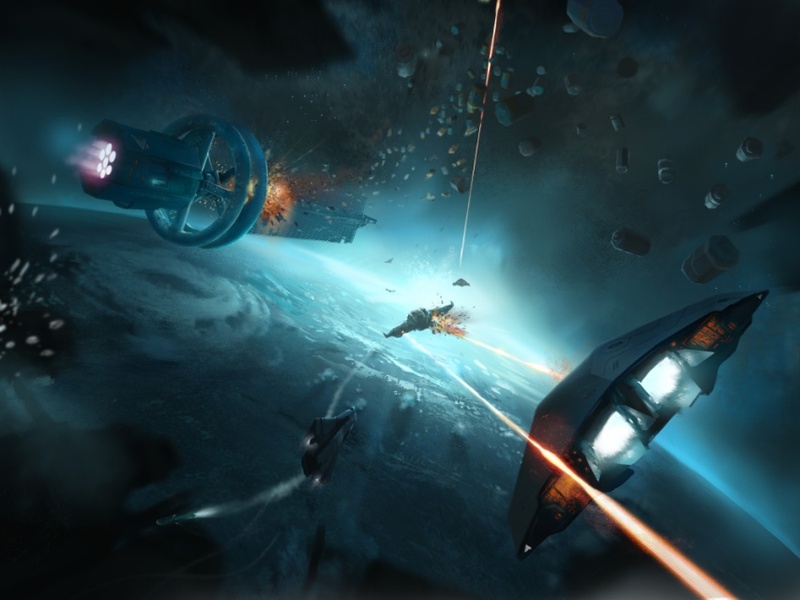 Two months ago Frontier announced that we would be developing a new version of Elite (two sequels had already been developed in the mid-nineties). Normally with large games a developer works with a publisher to fund and release a game. We chose a different route. We elected to crowd fund the game through a site called Kickstarter. The original game came with a novella called ‘The Dark Wheel’ that helped set the scene and even provide some hints for new players. I was asked if I would like to write the official sequel to that book. It took me two seconds to say yes! However there was more to come. Kickstarter projects are funded by people making pledges and receiving rewards. Over the years Elite has proved a popular setting for fiction, so we offered a limited number of slots to authors wanting to write their own stories in the Elite universe. This proved very popular and we have twelve projects signed up, three of them from a well established publishing house – Gollanz. As well as variety of authors, we also have many different approaches from traditional novels, to a game book and an anthology of short stories. As part of this process I will be working with these authors to make sure that their books fit into the universe created by the game. And this is where the challenge begins. Research is a significant part of my writing process. When I have an idea there are usually rough edges or grey areas that need to be worked. Often this requires research. Now with my own creations this isn’t too challenging, mainly because it’s my world. I can change things as I see fit. In somebody else’s world, in this case Elite, I don’t have that luxury. I have to fit within the world that has been created and I have to provide consistency. And that is what I’m working on (with the valued help of both other staff and volunteers from the Elite community), I am creating the fiction guide for the whole universe that myself and the other authors will follow in their works. For too long he dwelt apart, watched those who passed him by.With his unique abilities he entered their minds and inflicted terrible suffering upon them. They didn’t even know who he was. The game has lasted for years, but now the game has become stale. On an impulse he decides to make a final and very public last stand. After surrendering himself to the police he enacts his plan to seize the prison for his final bloody act. There he discovers that he’s not as unique as he once thought. A quartet of dark short stories (10,000 words) to thrill and chill. Grave robbing is a dirty business, in more ways than one. When he disturbs the grave from a childhood scary story he discovers it’s not always treasure to be found. At the heat death of the universe, Death contemplates his existence. Terrorists seize an average suburban house. A Special Forces hostage rescue team is sent in and encounter more than they were trained for. A young demon prepares to take his possession exam. Thank you Michael for being my guest and thank you all for reading. And next week, more! Jodie Pierce who is not only a talented fiction writer but also delights readers with her blogs and has been author guest in mine has been kind enough to honour me with the nomination for the Blog of the Year 2012 Award. Before I tell you anything else about the award, I just want to give you details of Jodie’s webpage (where you can find more about her novels on the Vampire Queen series) and also her blogs, where she talks not only about her own work but also offers much needed exposure to fellow authors. And now, for more information about the Award. Do you know a blog that deserves an award? Do you have special blogs that you love to read? Which blogs do you bookmark and follow? Would you like to give them an award this year? 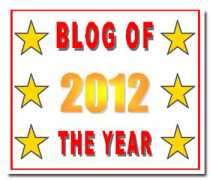 Then the ‘Blog of the Year 2012’ Award is for you! Of course, with all this in mind, I wish to nominate Jodie for the award, not only for her original work but for assisting other writers in getting to be better known. She’s always generous with her time and happy to share her experiences. Jodie, have a star on me! My other two nominations are two women who are not only great writers but are also dedicated to bring attention and spread the word on two very worthy (and unfortunately still in this day and age sometimes ignored) causes. I met both women through a group of writers we belong to, and have since been impressed with how hard they work and how much of themselves they give to help others. 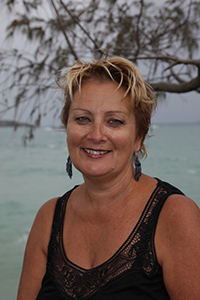 Jenna Brooks is a writer (October Snow) counsellor and a staunch defender of the rights of women, particularly women who have been subject to domestic violence and abuse. I have participated in some of the discussions she has lead in a variety of forums (including Goodreads discussion groups) and although familiar with some aspects of the topic, have always been enlightened by the discussions and they have made me stop and think. If you are not familiar with her work, this is your opportunity. 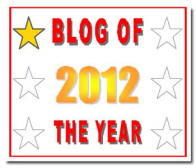 Jenna, I’m really pleased to nominate your blog for blog of the year 2012. 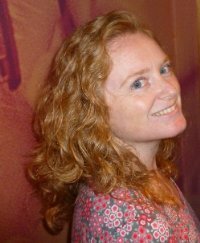 Amanda Green is another author (My Alien Self) I’ve been reading about and come across at our group of authors (it’s no secret; I mentioned them last week already, ASMSG). I would say she is one of the quieter members but passionate about her writing, particularly because of what it means to her and to so many others. Amanda has written about her experience in overcoming mental illness and talks with great insight and authority on issues such as stigma, labelling, and the impact such illnesses have on the lives not only of those suffering them but also on those around them. Like Jenna she often offers free promotions of her book to ensure that it reaches a wide audience and it can touch as many people as possible. Amanda, you truly deserve this nomination to blog of the year 2012. Follow the rules, collect the stars…and remember…You’re the real stars! And to honour these women, I won’t even bother to remind you about my books. Just tell you the free promotion with Mary Meddlemore is now over. I hope you’ve had a chance to get the books you were interested in. Thanks for your help promoting and spreading the word. As usual on Friday I have a guest author. For all lovers of mystery novels I bring you…Carmen Amato!